As always, if you come across something on the internet that you think Kate will hate, please send it to me at: lydia.and.kate@gmail.com. Thank you in advance for your assistance. I think these are genius. 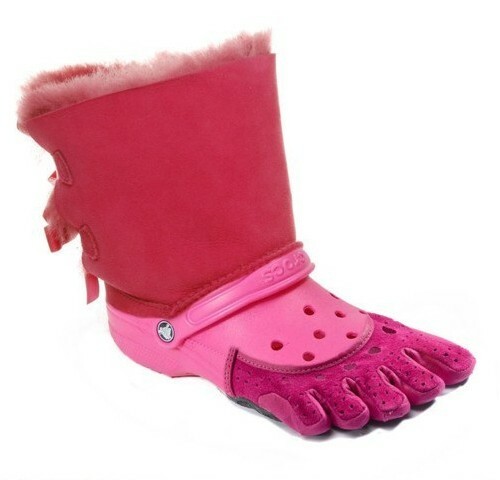 Kate will see these and roll her eyes so hard one of them will get stuck. THESE ARE AWESOME. They look like Wonder Woman boots except they're PURPLE. But Kate still hates them because she is KATE. My apologies, you guys. As you know, I'm bad at knowing what's too gross to share. If you want to see it, click over to the Things Kate Will Hate board. It's a red and white Halloween costume. You kind of can't miss it. It really will make Kate puke in her mouth when she sees it, though. Which is awesome. I think we should all pretend that this is where Kate gets her hair done. Because she takes her hair and the dude who does her hair, as seriously as a motherfunker. She don't play. That's also probably why her hair looks good all the time and mine looks like it was done for $16 at the Hair Cuttery next to Walmart. Because it was, you guys. It was. This kills me. I mean, I would totally apologize this way for something gross that I did and Kate knows it. Right now Kate is like "I want to think this is funny because it sort of is, but DAMN IT. 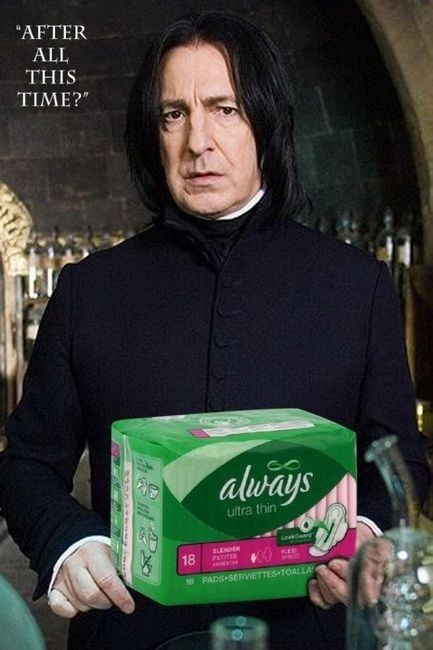 Snape's love for Lily Potter is not a joke. YOU KNOW THIS, LYDIA." Now she's sighing and shaking her head at me. And now Kate is blind. Parenting FAIL? No. NO WAY. Parenting WIN. I AM DOING THIS NEXT YEAR. I call dibs if you live in my neighborhood. This is the look Kate gives me in church. And I love it. Why do I have this board? Two reasons. Reason one: in my family the tradition is that I stuff my kids with healthy food before we go out trick or treating so that they will have less room in their bellies for candy, which even in small amounts turns them into uncontrollable crack heads. Reason two: like a freaking idiot, I entered into a behavior contract with my two older kids. If they agreed to be kind to each other, watch their tone of voice, do homework and chores without me having to be nag-dragon and GET UP IN THE MORNING ON TIME, I would agree to have their buddies over to much on healthy stuff with us. It worked. They've been awesome for two weeks. And yesterday I heard Hawk say this as he was getting off the (very crowded) school bus: "PARTY AT MY HOUSE ON HALLOWEEN NIGHT!!!!" Apple slices, peanut butter and marshmallows. Mummy pizzas made with English muffins or bagels. Olives for eyes. My favorite - mummy dogs with mustard eyes.